It’s easy to use. GROUP is a true plug-and-play room system, taking less than five minutes for its one-time setup. Wainhouse analysts said it took more time to unbox the handful of components than it took to connect the solution, with no configuration required. It offers a BYOD meeting experience with better audio and video. GROUP allows participants to connect their personal device including tablets, laptops, etc. to the system. GROUP includes a 1080p, PTZ camera with a 90-degree field of view and an audio base with four microphones offering 360-degree coverage. It works with virtually any standard video conferencing application. 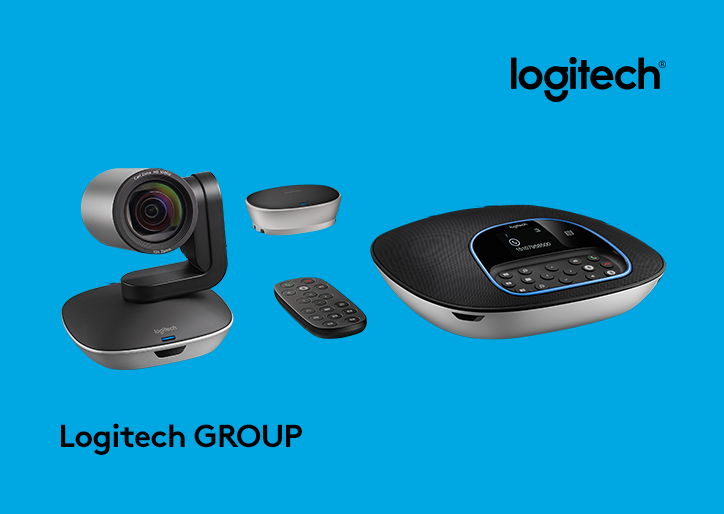 Whether your organization uses Microsoft Skype for Business / Lync, Cisco Jabber, Blue Jeans Network, Zoom, or any other application, Logitech GROUP will enhance your audio and video experience. Wainhouse successfully tested six different platforms across multiple devices and found the system easily connected to every call. It’s highly affordable. Wainhouse declares that GROUP really shines in terms of the “bang for the buck” when you consider its sub-$1k base price, which is far below that of legacy conference room systems. The report mentions that the price “low enough for use in thousands of meeting rooms,” making GROUP a great video solution for organizations large and small.